Savvina purple Hologram was on my wish list for a while and thanks to Amanda from Amandalandish I was able to cross this off my never ending wish list! I don't know why this is called Purple, in reality it is a light pink. It is very pretty and formula is great. 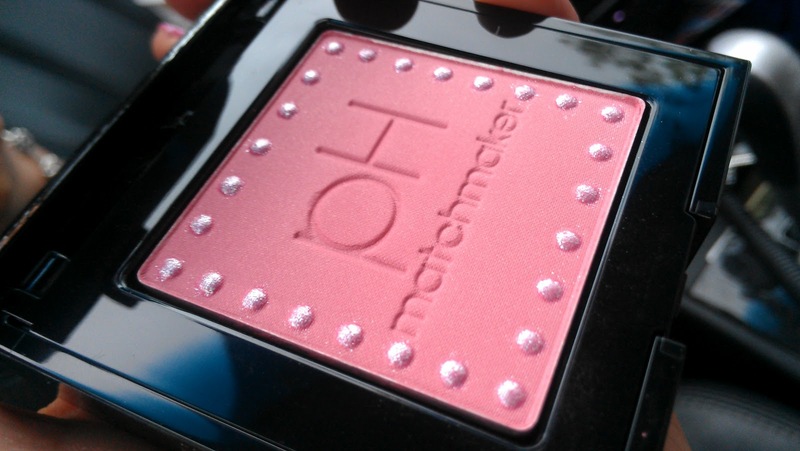 I love this blush, Physicians Formula in Natural, one of the best blushes I have tried :) It is suppose to adapt to the pH your skin! Bought it at Walmart for @ 8.00 with a coupon!!! Quiero que me hagas la manicura !!! Qué ideal y cucas, te sigo y apoyo en tu blog, estoy de sorteando un Satchel Bag precioso en mi blog, en dos días cierro concurso, anímate a venir, un besazo ! 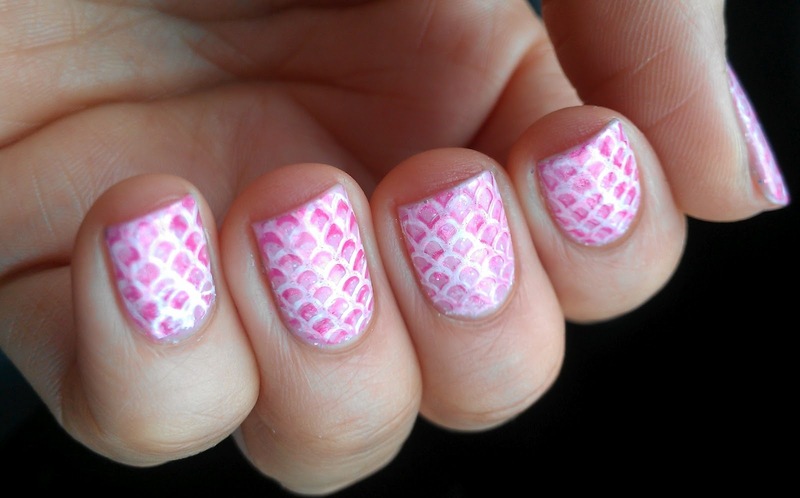 Love it with stamping! And also love your bracelets :). double stamping! It looks great! 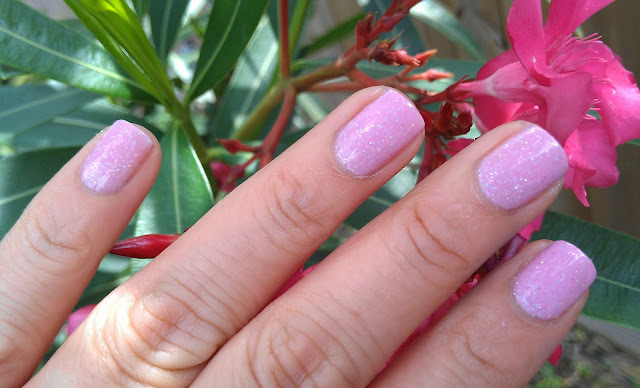 That pink is stunning! I love it! Girly but in a lovely, not over the top way. I love the double stamping. Amazing manicure! That pink is beautiful!!! I don't think I could handle double stamping! I'd never be able to line them up right! I have Purple Hologram and haven't used it yet!!! haaaaaaaaaaaaaaaaaaaaaaaa!! When Will I get to use all my polishes!!! Then a picture like yours comes up and I just want to use it immediately!!! So I was harboring something this gorgeous and it's not getting used?? Smh.. lol. Lovely stamping as always dear. 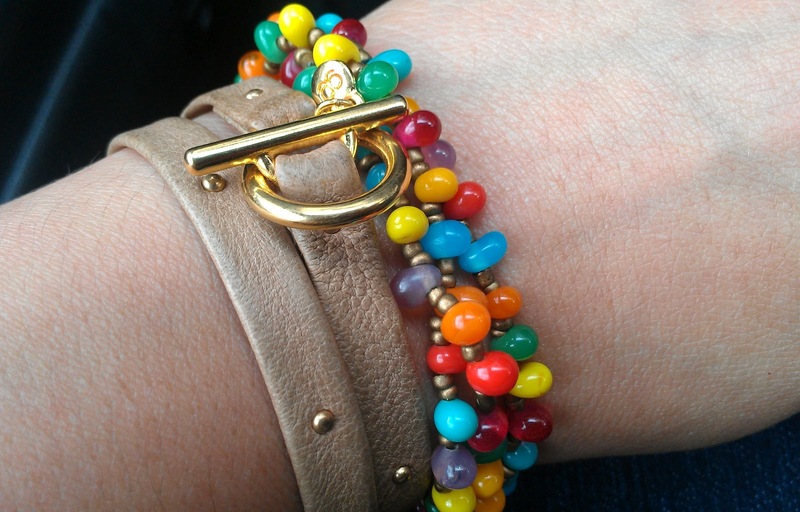 your bracelet makes me think of skittles! :D i love it ! so pretty! I love the texture it created! This looks gorgeous, I love it. I'm so shocked that it ended up so pink! It's really a stunning shade on your skin tone and I absolutely lover the mermaid-tail look you created with your stamping. Magnificent! That jelly bean bracelet is very cool! Love this mani! 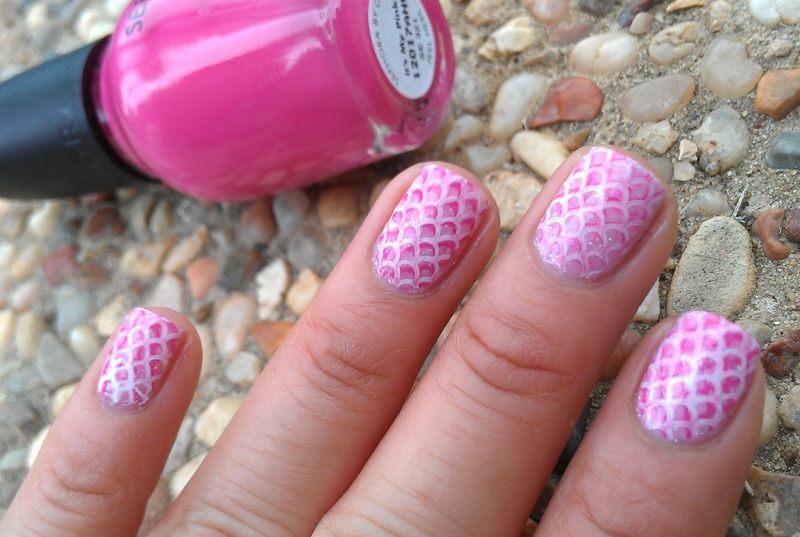 This double stamping is perfect! 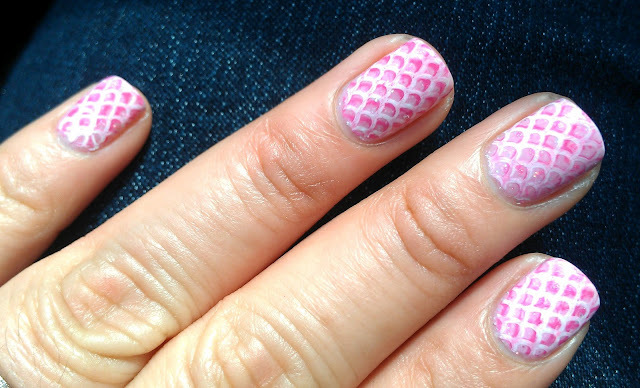 The double stamping works super nice, gorgeous result! !